The cultural heart of Bali, Ubud is a world away from noisy heavily-commercialised coastal towns such as Kuta, Semanyak and Sanur. Surrounded by lush rainforest, gurgling streams and terraced rice paddies, this bustling township in the island’s interior is a haven for visitors who want to delve more deeply into Bali’s ancient cultural practices, rich artistic traditions and natural environment, as well as those who simply want to chill out and nurture themselves at some of the many yoga studios and holistic wellness centres that abound in the area. 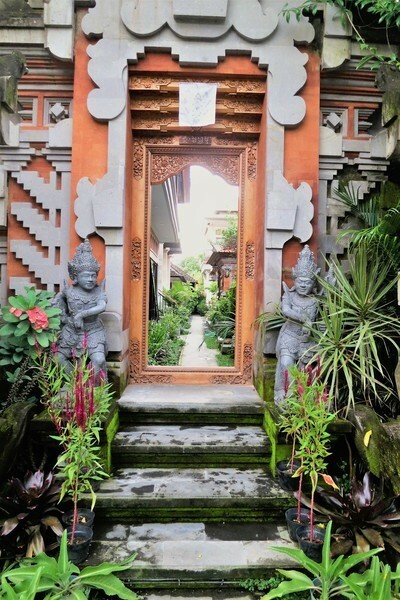 During a recent solo to Ubud I stayed at a terrific little place, Wayan’s Family Hostel – located on Jalan Hanuman, in the heart of town – just a stone’s throw from some of the town’s most popular attractions. As a woman travelling alone, I was a bit nervous about what accommodation options were available locally, and how affordable these would be, according to my rather tight budget. Personal safety was also a big priority, and it was for this reason I chose hostel-style accommodation, where I’d be sharing a dormitory with several other female travellers. Since the online reviews by other travellers were almost all positive, I took the plunge and went ahead with a booking. 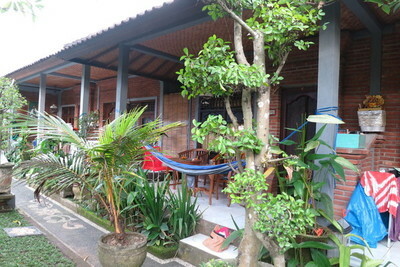 My first impression of Wayan’s Family Hostel was very positive. Despite the hostel’s central location it had an amazingly tranquil ambiance, due to the high walls and lush gardens that surrounded it. 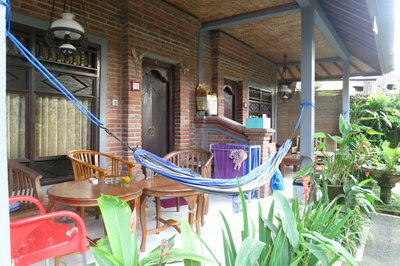 The hostel is very similar to a popular accommodation option found throughout Bali – the home stay. In Bali extended families often live in a collection of homes and cottages, situated within the privacy of a walled garden, and travellers opting for home-stay accommodation are also housed within this compound, enabling them to observe and, if they desire, participate in the traditions of Balinese family life. The guest accommodation at Wayan’s Family Hostel is located in a peaceful part of the compound, with a small swimming pool just a few metres away – perfect for a refreshing dip after an active day of yoga or exploration. 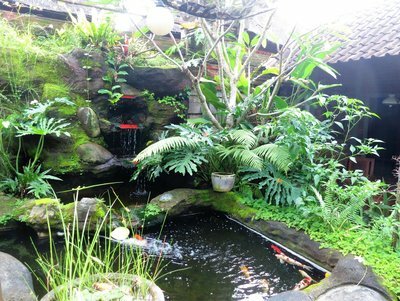 A small picturesque pond, surrounded by colourful carp further enhances the pleasant and relaxed mood, while hammocks on the hostel’s shady veranda offer another attractive option for relaxation. Close by, there’s a small thatched booth where you can fill up your drink bottle with clean filtered water, or book a tour or transport to local tourist attractions and other parts of Bali. Wayan’s Family Hostel is fairly small in size, with just a few dormitories and private rooms - something I really liked as it created a friendly and intimate mood between the guests. The accommodation consists of a women’s dormitory, mixed dormitory and a few private rooms, which offer either twin or double beds. The women’s dormitory, where I stayed, offered simple albeit comfortable accommodation, with two sets of bunk beds that sleep a total of four people. The rooms also include an ensuite bathroom. 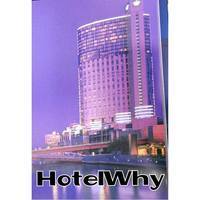 The standard of cleanliness is very good, and rooms are thoroughly cleaned each day. Unfortunately, cooking facilities aren’t available at the hostel, although this didn’t seem to be much of an issue with most of the travellers I met as they were eager to sample the sumptuous local delicacies that are easily, and very affordably, available at local warungs and other eateries. In a nutshell, Wayan’s Family Hostel certainly isn’t luxury accommodation, but it’s attractive, friendly, comfy, safe, clean and very centrally situated in the heart of Ubud. It’s a great option for not only the budget-conscious, but also first-time travellers and women travelling on their own who are concerned about their personal safety. Personally, I really loved it, and appreciated all that it had to offer. I’ll definitely stay there again on my next visit to Bali. Ubud is located in Bali’s Gianyar regency, approximately an hour’s drive north of Bali’s largest city, Denpasar. 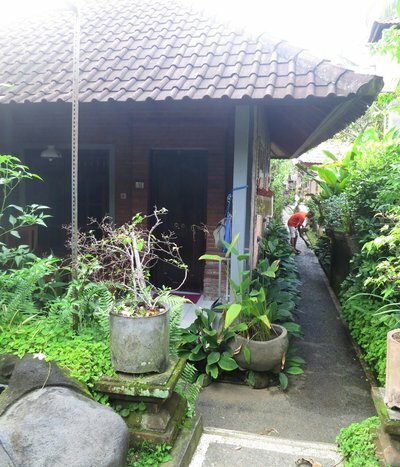 Wayan’s Family Hostel is situated on Jalan Hanuman - right in the heart of town, and is therefore walking distance to most popular visitor attractions such as the Monkey Forest and The Yoga Barn. The hostel doesn’t have a website, but to find out more, read other travellers’ reviews or to make bookings, go to websites such as Hostelworld, Tripadvisor, Trivago or Booking.com.